Think! 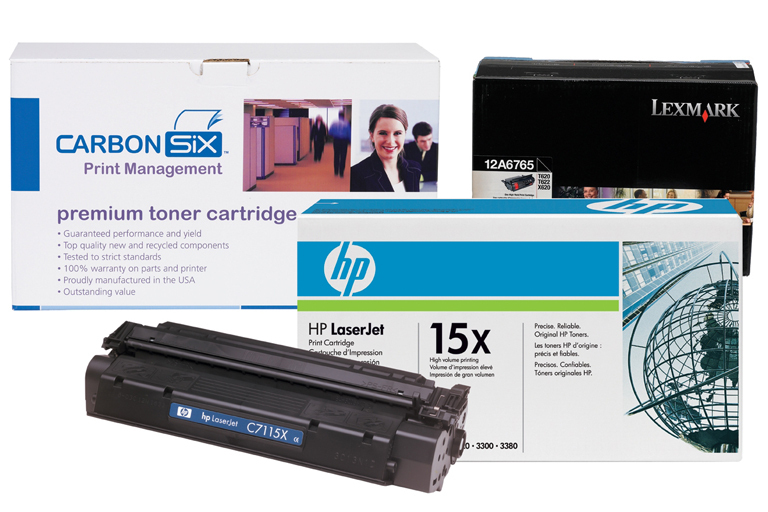 Printer Supplies offers a full line of laser, ink and ribbon cartridges covering all major manufacturers and printer models including MICR and color. We are known for our excellent customer service and will take the time and go the extra mile to help our customers find exactly what they need, even those hard-to-find ribbons and thermal papers. We can get almost any cartridge in 1-2 days. We do not offer on-line ordering by choice. Creating an e-commerce site and accepting orders via the internet does not fit our business model of Service. We strive to provide the best customer service and will work with you to properly select what is best for your printing application. We are confident that the time we invest in serving you will result in reducing your internal printing costs. Feel free to call us or fill out the form below to find out how much you can save with Think! Printer Supplies. Company names and product names appearing on this site are the trademarks of their respective owners.